Stylish Batman playing cards based on the crime fighting hero of Gotham City. The card is finished in a matte black with the iconic Batman logo on the back of every card. 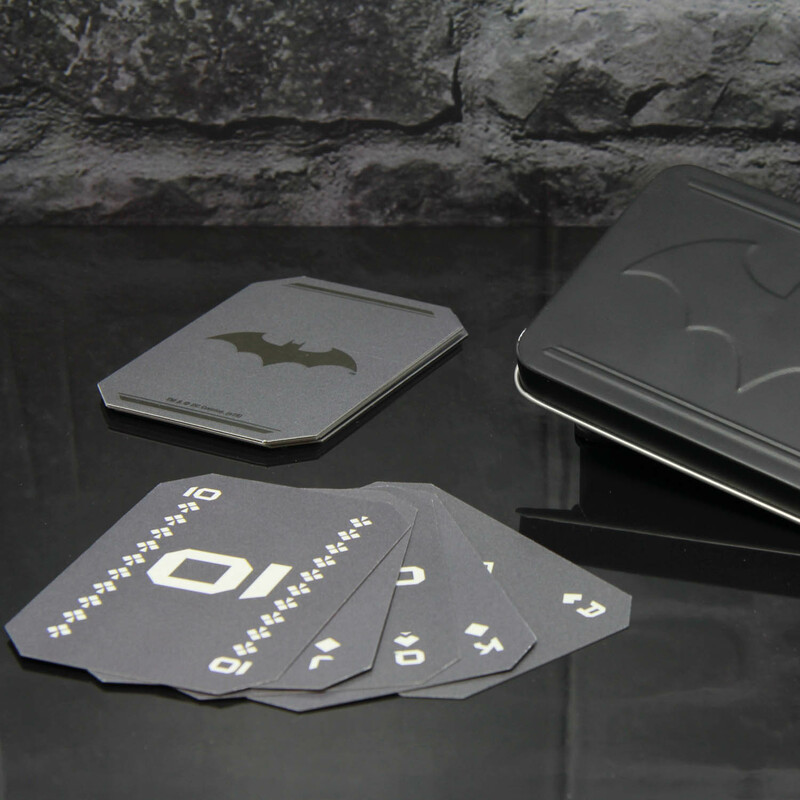 The cards also come inside a cool, storage tin featuring the distinctive Bat logo. The set includes 52 themed playing cards plus two jokers.